Samsung Electronics America, Inc., the fastest growing home appliance brand in America for the fifth straight quarter, is helping holiday hosts get ready to get together with family and friends this year. With Americans already getting a jump on holiday planning, Samsung is kicking off the season with a new national ad campaign and a major presence at the Food Network & Cooking Channel New York City Wine & Food Festival presented by Coca-Cola. 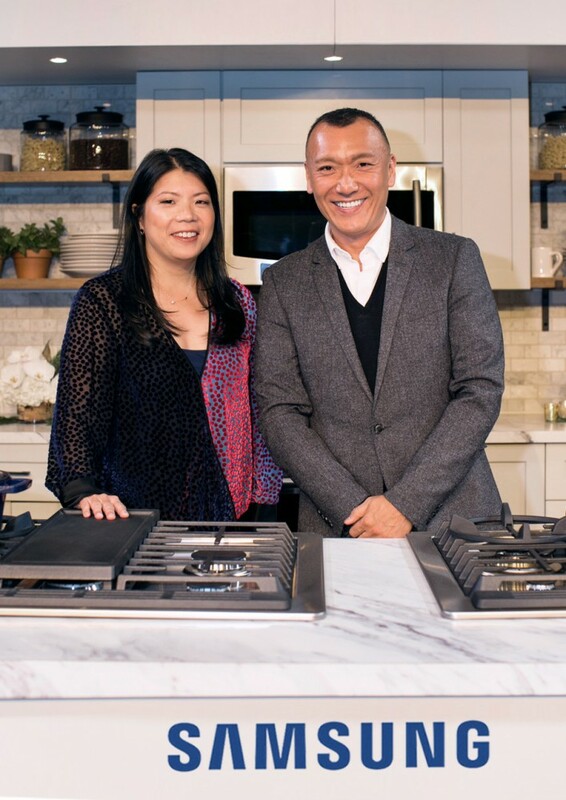 Style and design expert Joe Zee has also teamed up with Samsung to share his inspiration and advice to make this holiday season memorable. 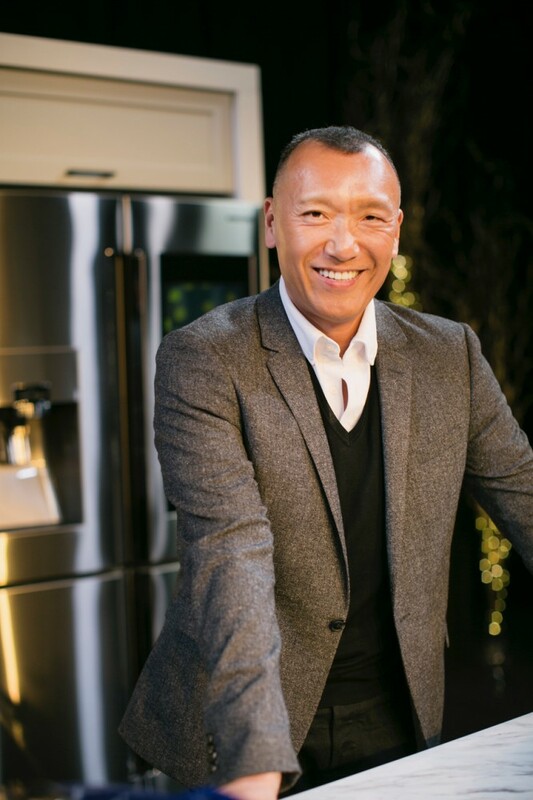 For a fresh take on holiday planning, Samsung is partnering with Joe Zee for simple ideas that can make a big impact. From sprucing up your home to having the right connected kitchen appliances, Joe knows how to create a holiday party worth remembering. Add Some Holiday Spark – It can be as dramatic as adding pops of color like on-trend cool deep blue and tropical bright orange to an accent wall. Or dispense with traditional holiday colors in place settings, napkins and centerpieces in favor of unexpected hues like deep teal mixed with gold flatware with a pale yellow accent. Stick with two or three shades of color, with some neutrals thrown in. Add Elegance and Efficiency to the Kitchen – Consider upgrading kitchen appliances for a more stylish look and game-changing efficiency. The Samsung Family Hub refrigerator is the connected kitchen companion, helping people get an early jump on holiday prep. Plan ahead with the built-in calendar or sync shopping lists with you mobile phone using the Family Hub app, so you never forget an ingredient. Samsung ranges with Flex Duo™ double oven technology make big meals a snap. Multiple dishes like the holiday turkey and all of the fixings can now be cooked at different temperatures in the same oven using a removable divider – turning one oven into two. Both appliances come in Black Stainless Steel, which adds style to any modern kitchen. Layer Textures – When it comes to a quick décor change or a great entertaining tablescape, consider the sophisticated impact of layering textures. A great woven runner layer with delicate cloth napkins and various chargers and plates all bring the layering elements into play. Make the Kitchen Your Holiday Hang-out Room – There’s nothing better than a party in the kitchen, especially when you’re prepping the holiday meal and have company gathered around. Lay out chairs and fun, easy munchies and a special cocktail punch – to give guests a reason to hang out in the kitchen. Let family and friend enjoy the prep with you, even if you don’t need a helping hand. From October 12 to 15, Samsung will show its latest home appliance innovations in action at the Food Network and Cooking Channel New York City Wine and Food Festival in New York City. The Samsung Lounge, at the Northwestern Mutual Pier 92 Rooftop, will be a space of culinary creativity as notable chefs cook up holiday dishes throughout the weekend using Samsung appliances. At the Grand Tasting on Pier 94 presented by ShopRite, Food Network and Cooking Channel chefs will also conduct delicious cooking demo’s with Samsung appliances.